Hilarious video! Fake News CNN split screens two reporters standing next to each other to make you believe they are miles apart. So dishonest! If this weren’t so damned sad, it would be hilarious. We all know that when it comes to fake news, no one is going to outperform CNN. Everything they do is fake, deceptive, often outright lies. 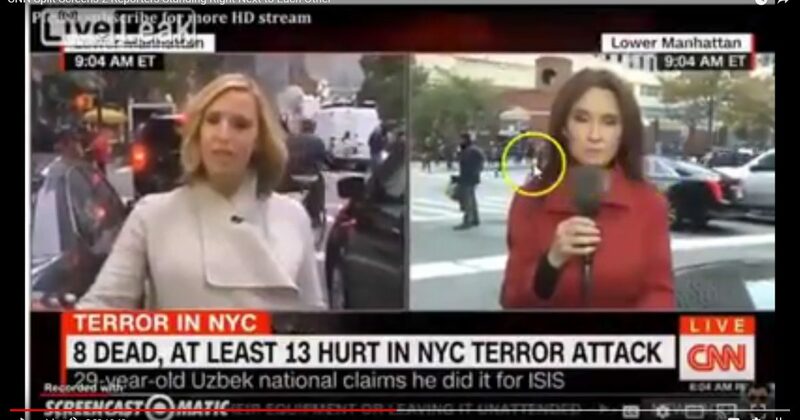 Check out the video, below, of two CNN reporters on split screen. The production crew is obviously trying to convince the audience that the reporters are miles apart. Except they aren’t! They are standing right beside one another, which is evident in passing vehicle and pedestrian traffic. And CNN wonders why everyone calls them the Queen of Fake News.